There are over 8 million affordable housing units needed in America today. Third-party research reveals that the most affordable kind of quality, safe, durable, and economical homes in America today are manufactured homes. The vast majority of Millennials want to own, but don’t want to sacrifice quality and green features. Baby boomers and retirees tend to want a single level home with appeal and class too. 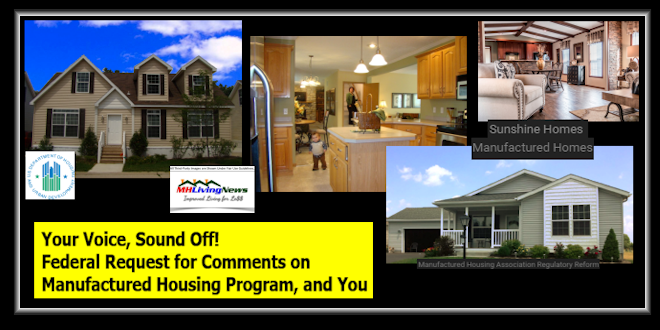 Those are among the groups that the U.S. Department of Housing and Urban Development (HUD) want to hear from in their request for public comments about the manufactured housing program’s announced review of their federal regulations. There are about 22 million Americans who live in some 8.8 million factory-built homes like those described below. Most of those are post-HUD Code manufactured homes, but perhaps one-in-four are pre-HUD Code Mobile Homes. As regular readers of MHLivingNews know, there are important differences between these various kinds of homes. You can learn more from the graphic and link below. Regulations are never perfect. They are routinely in need of review and revision. In the ideal, what the manufactured housing program regulations should do is provide a framework for safe, durable, energy saving, and economical homes. All regulations should have a simple goal of minimizing undue costs, and maximizing the value. HUD Secretary Ben Carson, MD, said that those who own a home in America have an average net worth of some $200,000. By contrast, the average renter has a net worth of about $5,000. Manufactured housing has drawn wide praise from third-party researchers – such as CFED/Prosperity Now as a common-sense path to affordable home ownership. Those who own a factory-built home can tell you that their experiences are overwhelmingly positive. What can HUD do to facilitate even more home ownership with common sense-regulations and pro-consumer, pro-industry practices? The resources linked have numerous points useful for those who will write comments to the federal government to consider. But let’s sum them up. 1) The Manufactured Housing Improvement Act of 2000 (MHIA 2000) has never been fully and properly implemented. It should be. That includes enhanced preemption, that should allow the routine placement of manufactured homes on home sites in cities and towns across America. 2) HUD is the parent agency to the Federal Housing Administration (FHA). Manufactured homes qualify for FHA loans. Those loan programs could use some common sense reforms. A) The FHA “10/10 Rule” for Title I (home only loans, like those going into a land-lease community or rented home site) ought to be eliminated. The rule requires too much capital be set aside for those making the loans, and thus keeps too many good lenders out of the program that could otherwise make such loans. There is nothing like that 10/10 rule with conventional housing lending with FHA, so why with manufactured homes? A prudent selection-criteria for FHA Title I authorized lenders ought to be established, similar to what occurs with FHA Title II lenders. Those FHA loans would often carry a lower interest rate than the two largest lenders have in manufactured housing today. B) FHA Title II loans ought to have a currently problematic clause modified that makes their use in leaseholds available for not only resident-owned communities, but also in investor owned properties where the community owners make provisions for long-term leases and resident homeowner security. C) Retailers and lenders who use FHA Title II tell MHLivingNews that about 8 out of 10 homes meets appraisal needs. The other 2 of 10 may not, often due to a lack of ‘comps’ or “comparable properties.” Education of appraisers about manufactured homes and allowances for lack of comps could make FHA lending far more effective. D) Note that the points above and below could all create an environment where manufactured homes appreciate more, and thus would make lending on manufactured homes safer, sounder, and sustainable. To download the entire report, see the link here. Credit above, HUD. 3) HUD isn’t a marketing agency, but it ought to insist that all federal officials and others use the correct terminology and facts. Manufactured housing is a legal term! It creates a distinction between the mobile homes built before June 15, 1976, and the manufactured homes built since. A) Manufactured Home owners deserve and want respect. The federal government spent millions promoting ObamaCare. Some federal money ought to be set aside for educational purposes, to explain why the terminology is important, and why manufactured homes are superior to the mobile homes of yesteryear. That education should be genetic, not promoting any brand, or company. Pam Danner, JD, the now displaced prior administrator of the HUD Code manufactured home program office, did one thing modestly that ought to be done again far more robustly. That is, there ought to be intra-agency education about manufactured homes. There should also be inter-departmental education that explains manufactured homes to other federal employees too. The Pentagon, the prison system, and numerous other agencies ought to be using manufactured homes in many situations. It would save tax dollars, while creating opportunities for more jobs. So, what Danner did with a fingernail in the water ought to be done in a robust fashion. Billions of taxpayer dollars annually could be saved if an educational effort of several million dollars over 5 or 10 years were funded. HUD should also ask that the U.S. Census Bureau create a distinction in their surveys. Manufactured homes should be surveyed distinctly from pre-HUD Code mobile homes. Storm and other researchers have made this point. 4) Doing the above could revolutionize the value of existing and future manufactured homes. The Urban Institute did a controversial study of manufactured homes recently. It named this top down review as part of what they apparently wanted to influence. Details and analysis on that Urban Institute study, which was largely favorable to manufactured homes missed several points that could have made it far more useful. Among them is this. By revising the FHA lending as noted, more competitive loans would be available to millions. As Harvard researcher Eric Belsky said, credit is the lifeblood of all housing. And Belsky’s research led him to believe that manufactured homes would surpass conventional housing in total sales. Misinformation is one of the reasons Belsky’s point has not yet come to pass. Appreciation of manufactured homes already occurs, as the Urban Institute correctly said. 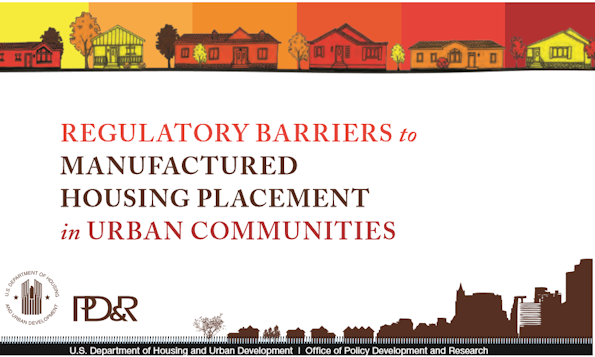 The HUD PD&R study, linked above, makes the same point in reporting that manufactured homes appreciated side-by-side with conventional housing. those factors would put the law of supply and demand to work for potentially millions of more Americans. It is common sense and basic economics that manufactured home appreciation would rise even further. 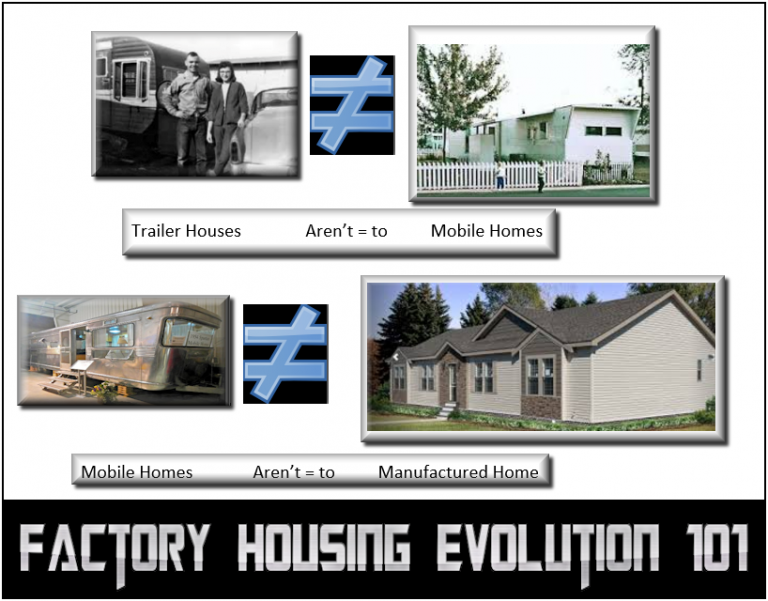 It is tragic that millions accept cars, clothes, cell phones, and computers made in factories as a norm, and not manufactured housing. The responsibility for that rests in part with HUD. Taxpayers, all homeowners and those citizens who want to become owners would all benefit from these common sense changes at HUD with how they manage the manufactured home program. Implementing such changes would be a net-savings for the government at all levels, and would create wealth-building opportunities for millions. Readers are encouraged to submit their comments to HUD via the website linked below. 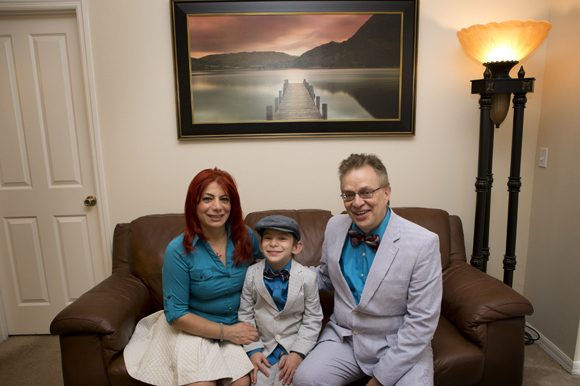 Soheyla, her spouse Tony and their son Tamas were featured in 83 Degrees Media, at this link here. Previous How Can You Avoid the “Hidden Costs” of Buying A House? Just the Facts!